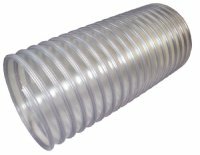 Lightweight translucent PVC duct has an easily accessible static grounding wire. 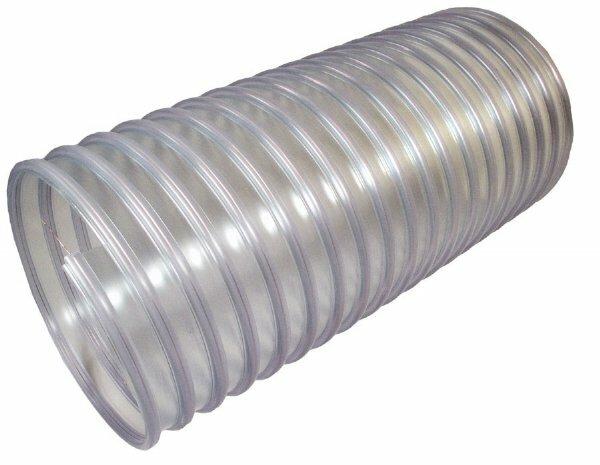 Economical dust and wood particle collection duct. Clear with rigid helix and static wire. FDA material.